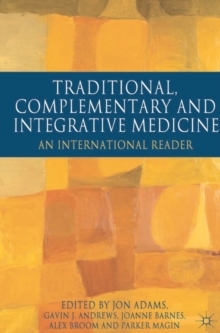 In this completely revised 2002 second edition of their well-received book, Gavin Andrews and his team continue to draw upon materials and methods that they have used successfully in clinical practice for 15 years. Over half the material in the second edition is new, and there is an entirely new section covering post-traumatic stress disorder. 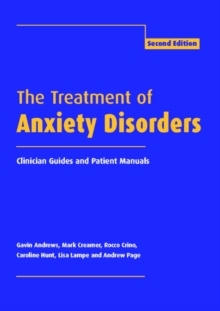 This is a unique and authoritative overview of the recognition and treatment of anxiety disorders, giving Clinician Guides and Patient Treatment Manuals for each. 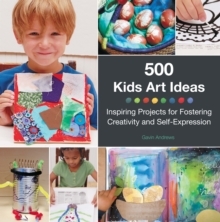 The Clinician Guides describe how to create a treatment program, and by working through the Patient Treatment Manual together with the clinician enables each patient to understand and put into effect the strategies of cognitive behaviour therapy. 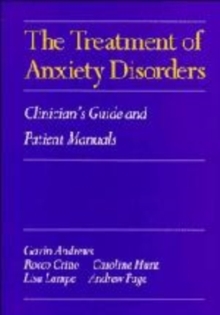 The Treatment of Anxiety Disorders offers both a theoretical overview and a framework to help psychiatrists and clinical psychologists build successful treatment programs.